This was my second time at The Red Bean Bag, the first was The Red Bean Bag & TWG . Anyway, here were our orders. 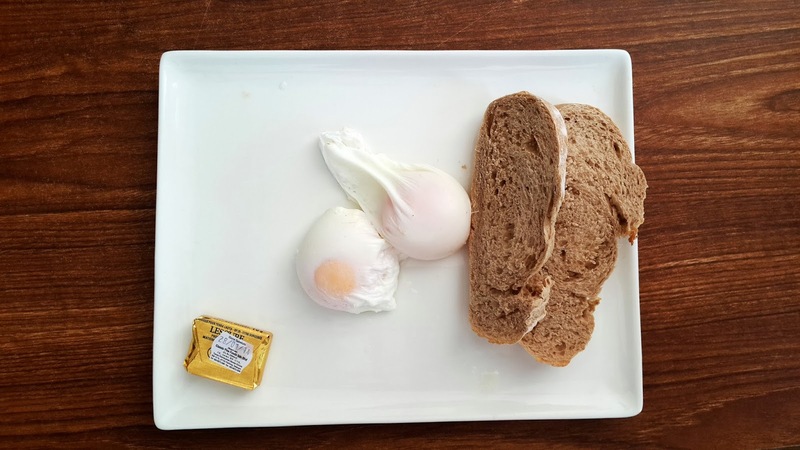 A simple serving of 2 poached eggs, 2 well toasted artisan's bread and a block of butter. The bread was toasted lightly with just the right amount of crispiness. The eggs were runny and just awesome. A light meal for breakfast for those who do not wish to have English Breakfast or somesort. 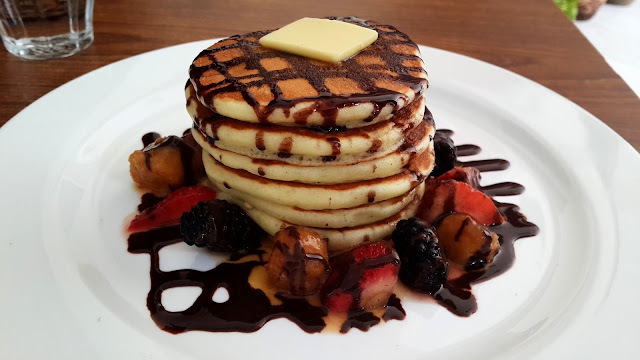 6 individual tiny sized pancakes stacked on one another served with berries on the side and chocolate syrup topped with a slice of butter. Pancakes were soft and fluffy, berries and chocolate was sweet and not overpowering, butter melted slowly, loved it. Yeap, same here but the price for the pancakes were a little too high for me. Yes, poke it till it explodes! Poached Eggs with Toast seems like too simple. LOL But the eggs look very yummy! it truly is simple but the eggs were poached perfectly and the toast was really crispy haha!